Kim’s passion for sharing yoga is rooted in over 20 years as a counselor, fitness professional, and devout seeker and student of life. 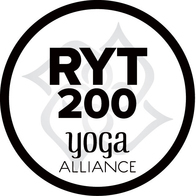 Kim is A 200 hour E- RYT graduate of Prairie Yoga. She is currently continuing her education in 500 hour teacher training. Along her journey, Kim has been influenced by many styles and beloved teachers. Kim’s teaching is based upon compassion and empowerment. Her experience proven that this healing practice is accessible to anybody. Her philosophy on yoga is this: find and face the challenges on the mat so that we may live our lives with presence. Her classes are encouraging, approachable, and empowering. Through conscious sequencing, Kim’s classes and workshops take you beyond the physical aspects of yoga, and bring you into your own sacred space, providing a truly balanced, grounded and holistic experience.